I love prints! Many of the House of Rubi garments features bold African inspired and or other ethnic/ cultural prints. Here are the first pair of leggings from House of Rubi. 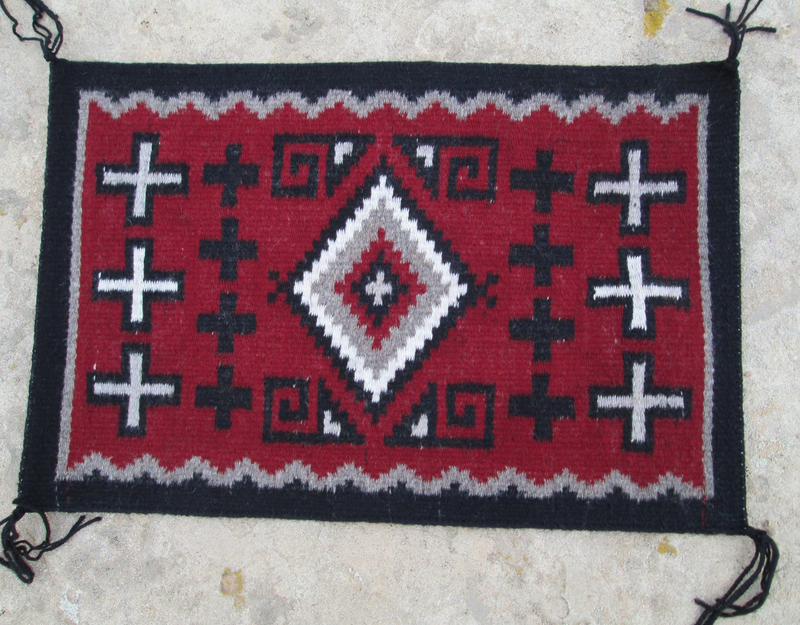 It features Aztec inspired prints and geometrical shapes on a black background. I’ve noticed visual similarities between Aztec, Egyptian, Ganado prints associated Navajo Native American art and Adinkra symbols from Ghana West Africa. 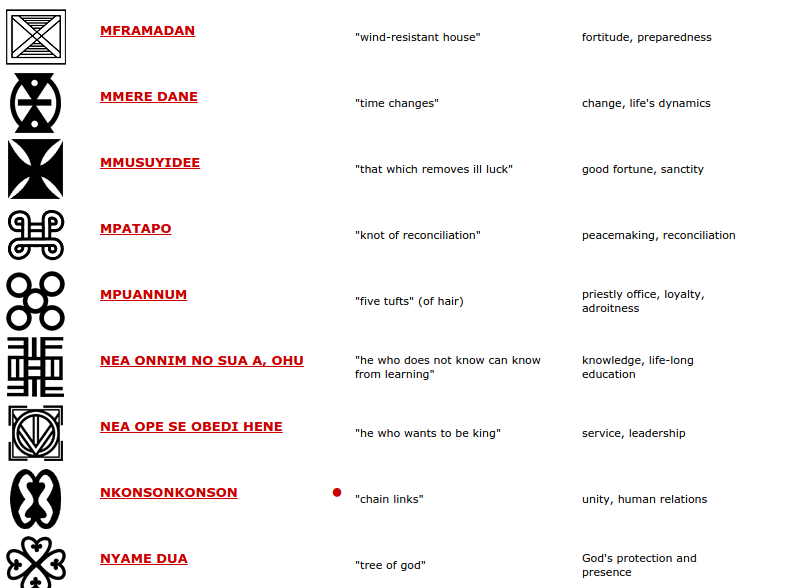 Here are some Adinkra images from the website http://www.adinkra.org/htmls/adinkra_index.htm. Its great to know that many of the images that we see on fabric has a story or a meaning behind it. Of course my inquisitive nature has lead me on a search to find the meaning behind these symbols and locate a link between the visual similarities. I am super excited about what I may find. These discoveries will be revealed in upcoming blogs!! When my mentor and amazing friend Bonnie saw these leggings, she loved them and insisted that I make more. Hence, I’ve dubbed these the Bonnie Leggings!! I am going to make a series of these leggings in various tribal prints. The next blogs will feature available prints. For now you can click the link below to order! It all begins with an idea. 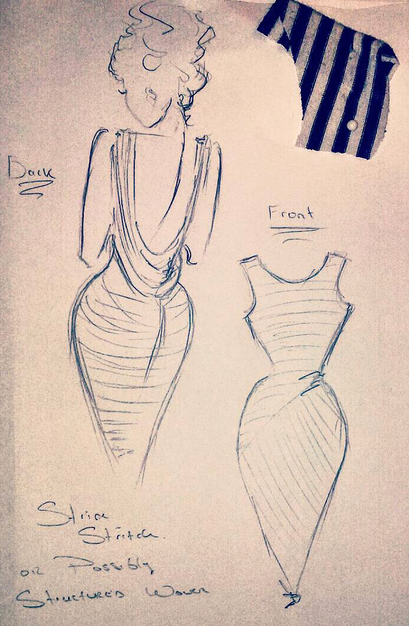 The idea becomes a possibility with a two-dimensional sketch.The sketch becomes a muslin sample, and then BOOM the idea is now a reality!! Of course, the BOOM process is a bit more intricate :D. If the design is customized for a client, our first consultation entails getting to know the client’s style, aesthetic preferences, color choices, and favorite fabric textures. Sometimes we may end up chatting about something that has nothing to do with the consultation, but that just adds to the fun!! I would then take detailed body measurements. Depending upon the style, I may drape a muslin or draft a pattern. Then, I would cut and sew the first sample using cotton muslin, or fabric that is similar to the texture and drape of the client’s fabric choice. Many times, I offer personal fabric shopping services to clients that want fabrics and prints differing from the House of Rubi selections. Many of House of Rubi fashions are named after my family member, friends and amazing clientele. Certain items reflect the personalities of my loved ones. For example, the ¨Rudene Slouch Bag¨ (named after my mother Rudene Wilkins) is bold, vibrant and beautiful like she is! Other times I may name the item after a client who loves what they purchased, and rocks their fashion item like a BOSSSS!! Hence, the House of Rubi is proud to introduce ¨THE NICOLE DRESS¨!!! Nicole is a member of NSP www.nspyouth.com, which is a Brookllyn based talent development organization for inner city youth. She and the 8 other lovely young ladies from NSP modeled for House of Rubi at the Annual International African Arts Festival in Brooklyn NYC, http://www.iaafestival.org/. 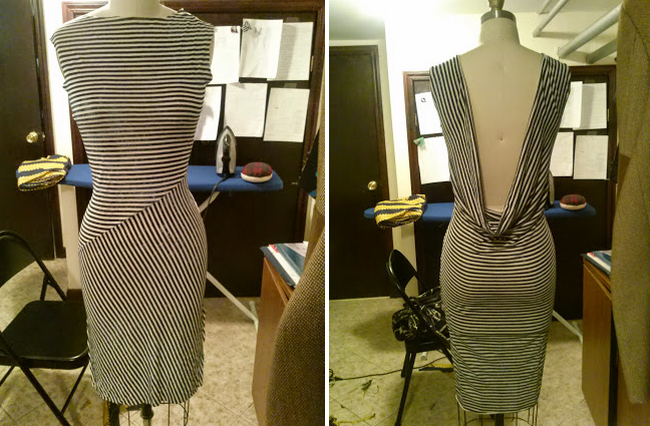 Nicole first saw this beautiful drape back, stretch knit, striped dress in a photo I showed her. She immediately loved it. The next day she modeled the dress and purchased it off the Runway! As you can see, she rocked that dress like a Boss! The rest is history!! Distance from under arm to waist- Length distance from under the arm to waist. If you have any questions, you can also contact Rubi Girl Tenneh via www.houseofrubi.com or call House of Rubi at (516) 927-RUBI (7824). House of Rubi is also a part of NYukCO http://www.nyukco.com/ a Brooklyn based collective that that combines a virtual incubator program with a hyper-local popup boutique. House Of Rubi Pop Up shop will be at the NYukCo location every Saturday from 12pm-5pm. Come to shop or get a consultation. The location is at Stratosphere, 227 Utica Avenue Brooklyn, NY 11213.